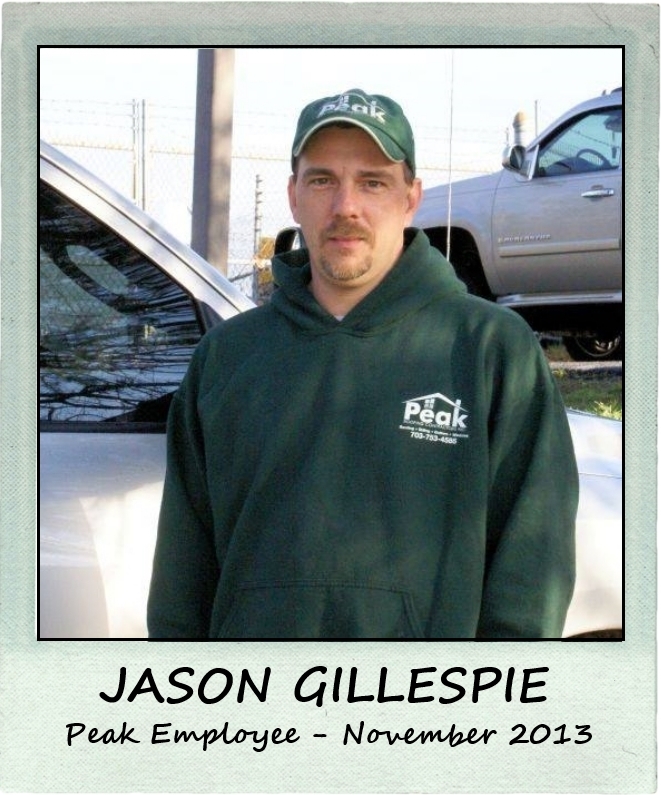 Jason Gillespie started with us in March 2009, which makes him one of Peak Roofing’s most seasoned veterans! Jason’s primary goals as Lead Supervisor are making sure that our crews stay safe and productive while our customers stay informed and satisfied during the entire roof replacement process. Both are big responsibilities. Autumn is Jason’s favorite time of the year. Not just because it’s a great time to help customers with their roofing projects, but because it’s also Deer Hunting Season! As an avid sportsman, Jason enjoys all aspects of hunting – the outdoor experience, the tradition of the hunt, the safe preservation of wildlife, and of course, the sharing of wild game at meals with friends & family! We are happy to not only call him a Peak Employee but he is also a family member and has been a great asset to Peak Roofing Construction with his extensive roofing knowledge and outstanding work ethic. Give us a call @ 703-745-5153 to request an estimate or discuss any of your exterior needs and you’ll receive $50 off any Peak Roofing Contractors service. You won’t be disappointed!